The Chancery range from Heritage features a sleek and sophisticated Art Deco inspired design. 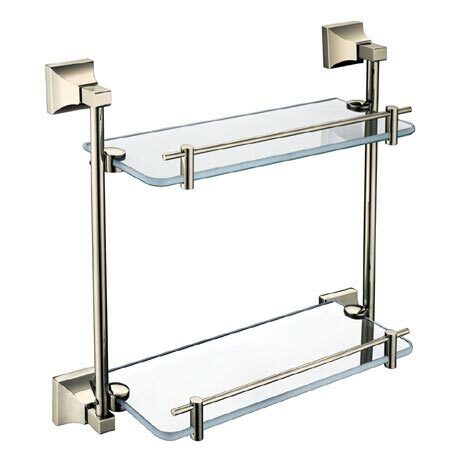 This Double Glass Shelf provides ample and practical storage for shampoo bottles and toiletries etc. Crafted to the highest standards and available in a vintage gold finish.